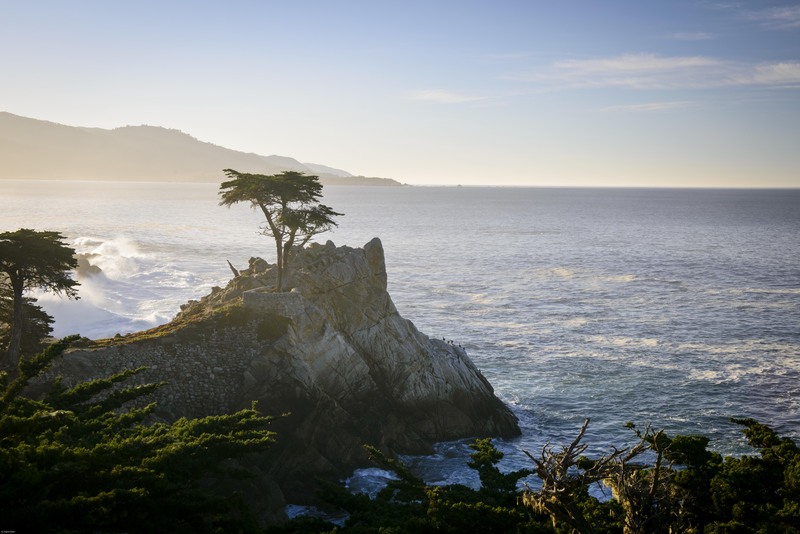 A popular tip for running the nearby Big Sur International Marathon is to remember to look behind you, because sometimes that’s where you’ll discover the most stunning views. 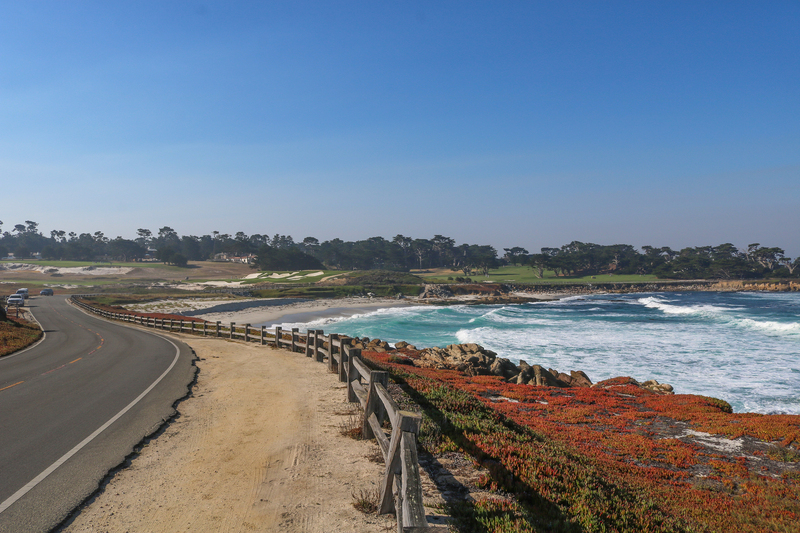 You won’t need to remember that tip during the Half Marathon at Pebble Beach on Jan. 27, 2018, because the course loops around the most sensational stretch of 17-Mile Drive like a links design. Any view you miss on the way out, you’ll immerse yourself in on the way back. 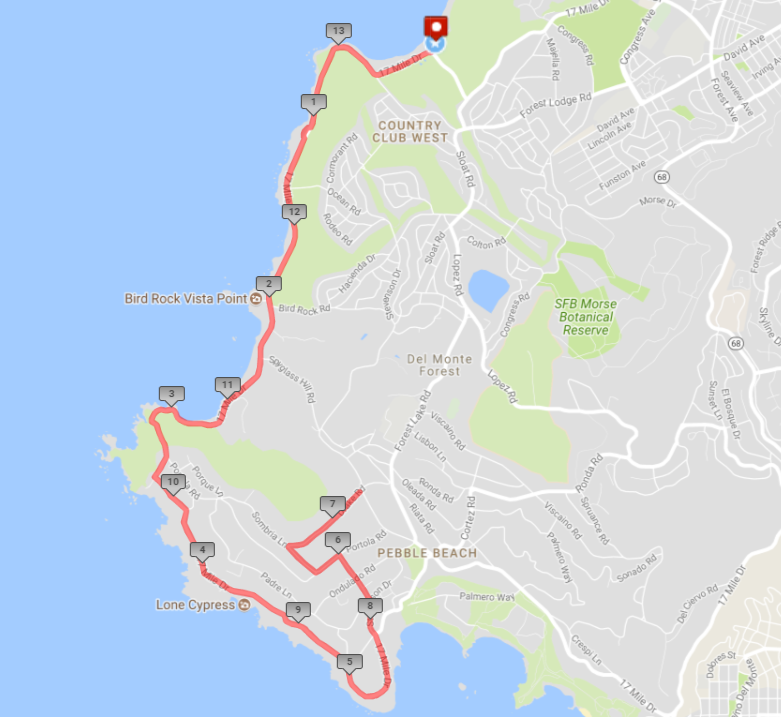 Here’s a look at the course, which starts along Moss Beach at Spanish Bay, before jogging past Point Joe, Bird Rock, Fanshell Beach, Cypress Point, Crocker Grove, The Lone Cypress and the Ghost Trees at Pescadero Point. 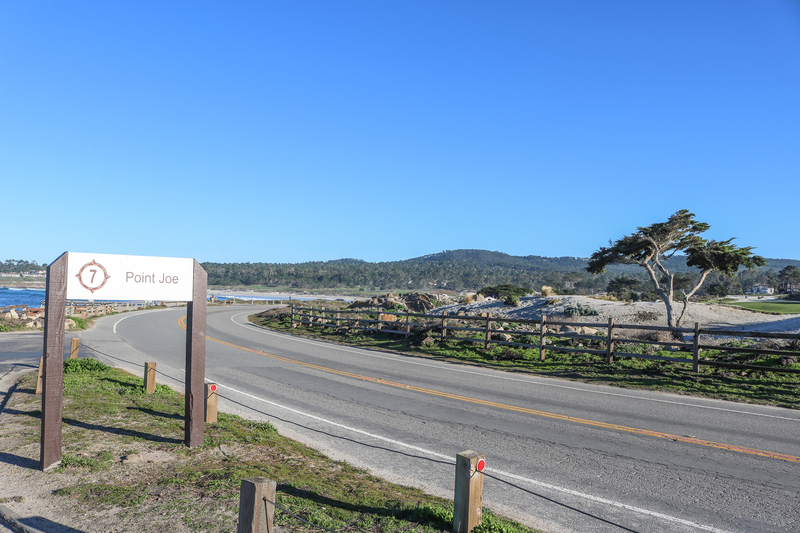 The route then climbs into the forest for a couple miles as you turn around the midpoint just beyond the Equestrian Center, before gloriously returning to the sea for the final 5 miles. There’s no elevation change greater than 200 feet, but there are a couple of taxing stretches. 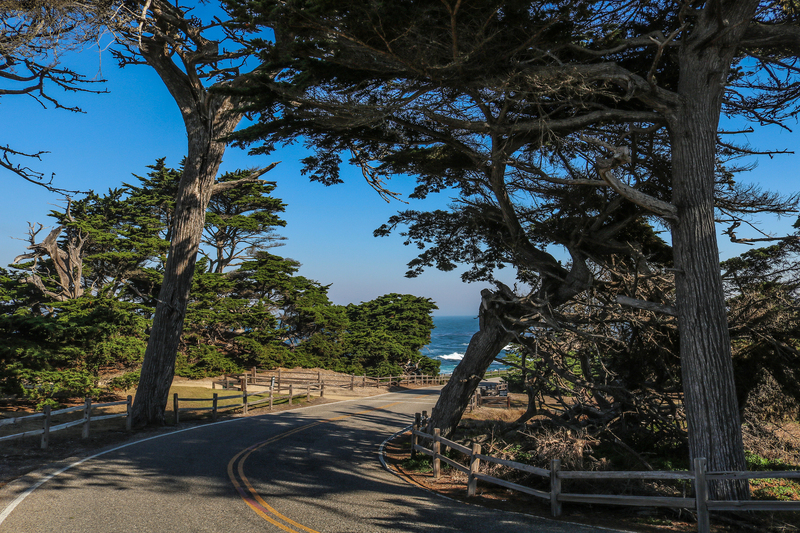 After gradually climbing to approximately 75 feet above sea level along the coastline, the course shoots up a 5% grade just beyond the Ghost Trees at Pescadero Point. And here’s a closer look at what you will run into on your run! 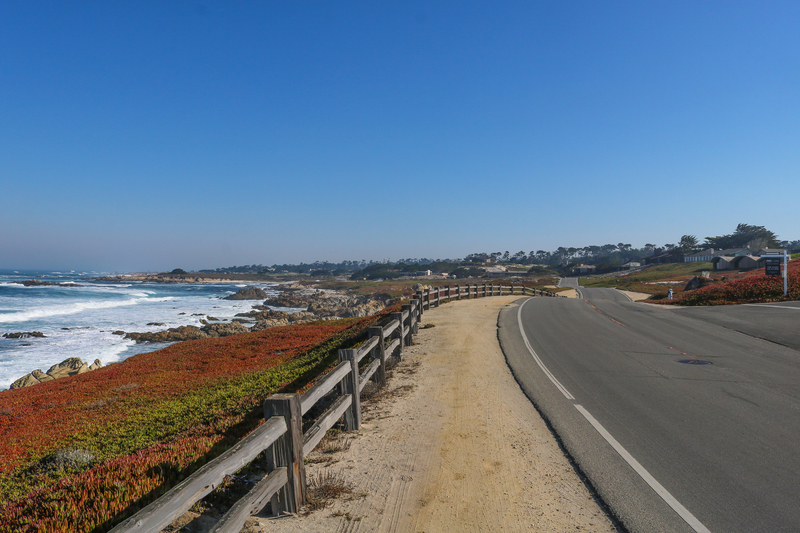 When you’re not in a race, you can take a casual stroll along a boardwalk from The Inn at Spanish Bay to the beach. But for this race, the boardwalk is just the beginning. 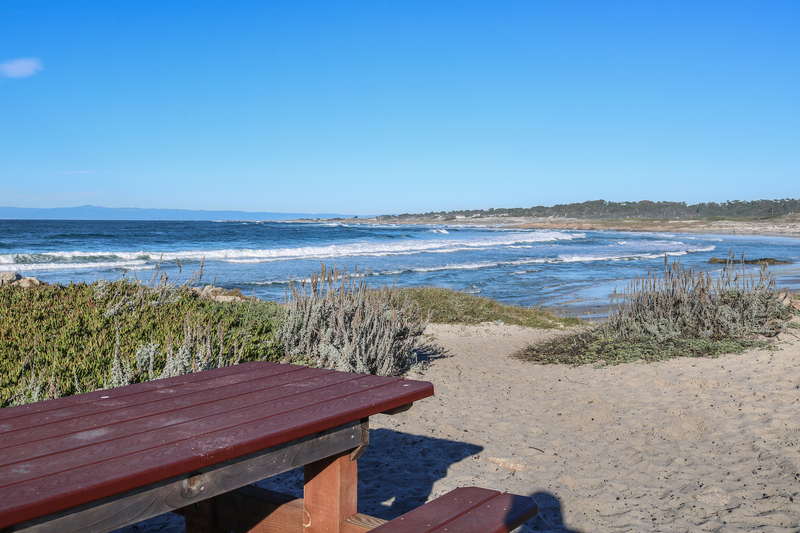 As 17-Mile Drive swoops past Moss Beach, it takes you out to Point Joe and the troubled waters of the Restless Sea. 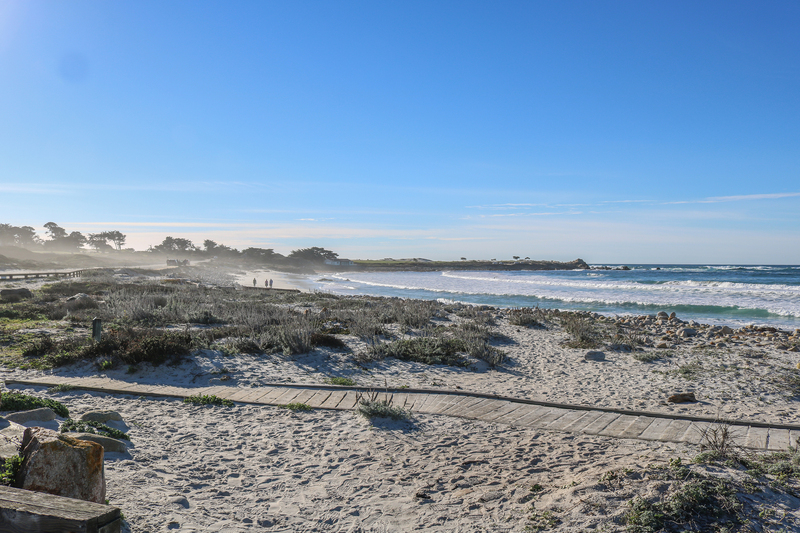 The next 2 miles are blindingly beautiful as you trot past four golf courses — the Dunes and Shore courses at Monterey Peninsula Country Club, Spyglass Hill, and Cypress Point Club. You might hear Bird Rock before you see it. 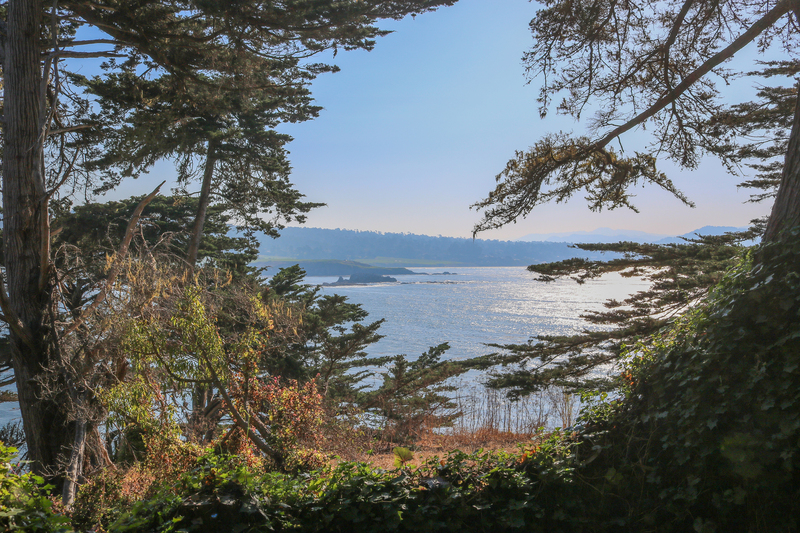 This hub of marine wildlife is always buzzing with boisterous birds and barking sea lions. 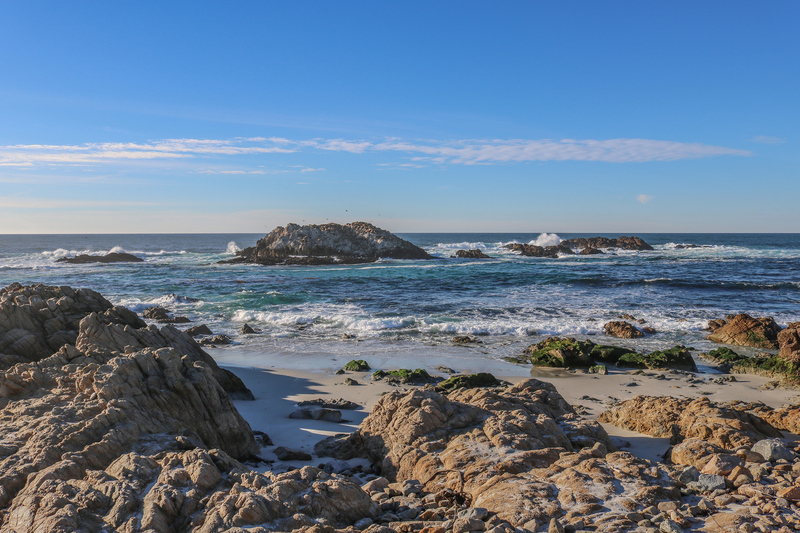 This picturesque beach is also a haven for harbour seals. Enjoy the panoramic view, because coming up around the bend, a 2% grade awaits. 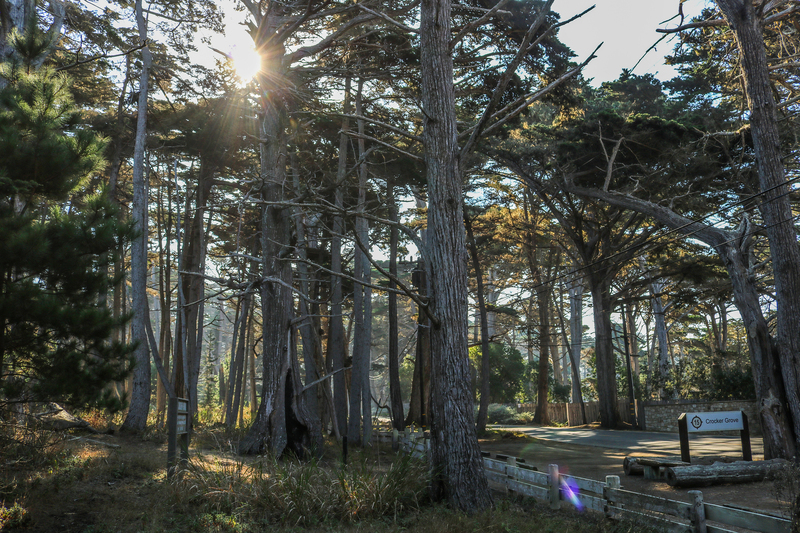 The geography mystically changes as you reach Crocker Grove, as a forest of enchanting Monterey Cypress now hems the course. 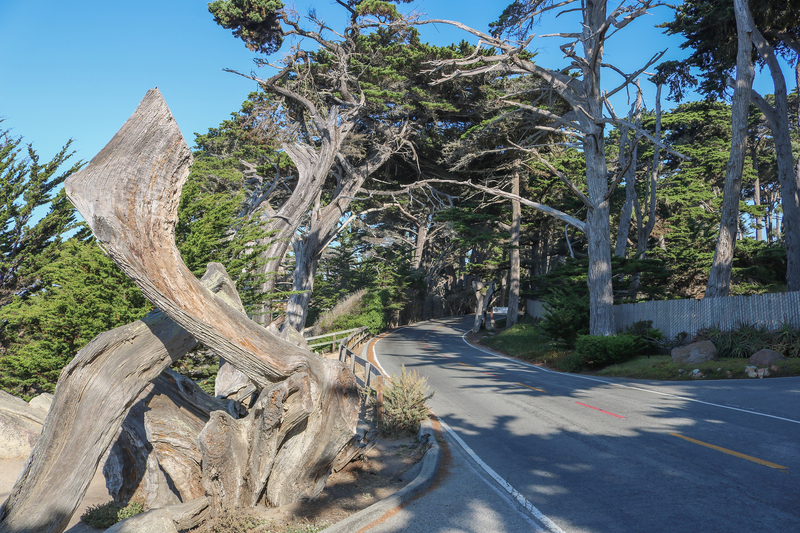 Even if you’re in the lead, you might want to slow down for a few strides and take in one of the most beautiful and inspiring trees in the world. 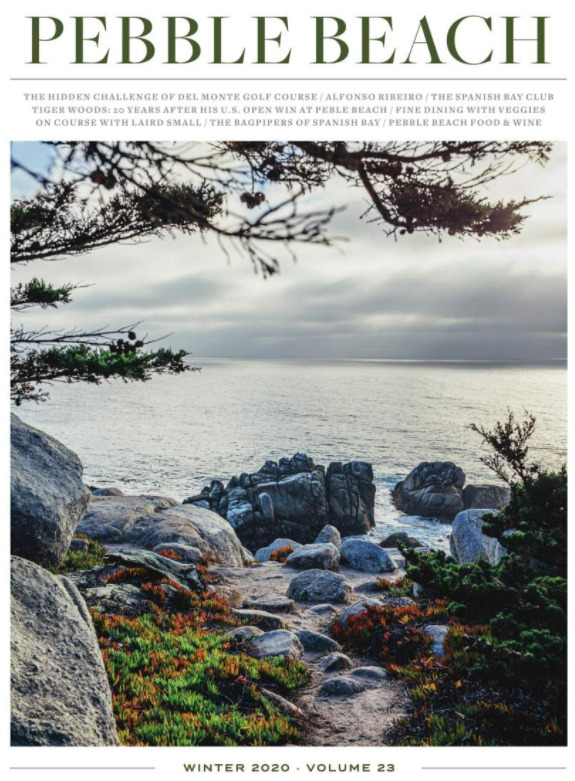 The excitement continues as you meet the sea again at Pescadero Point, which greets you with curious sun-bleached Ghost Trees. 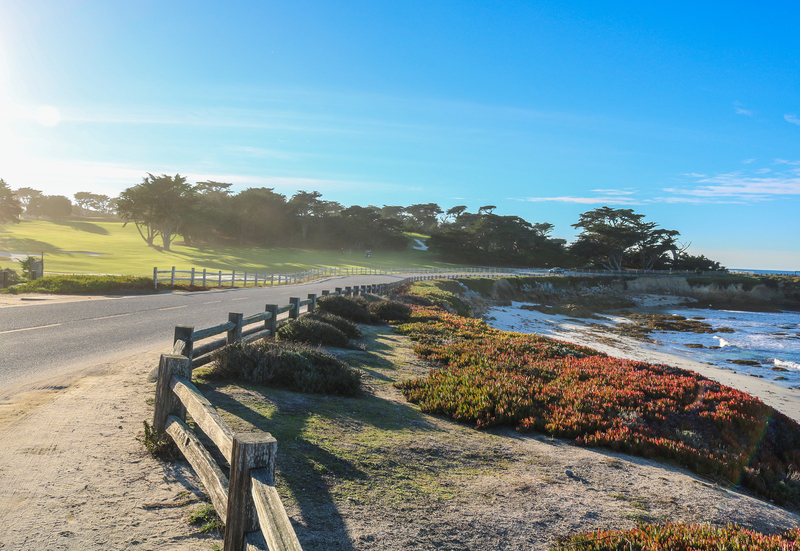 There’s no place to pull over and catch these peekaboo views of Pebble Beach Golf Links between mansions while driving 17-Mile Drive. 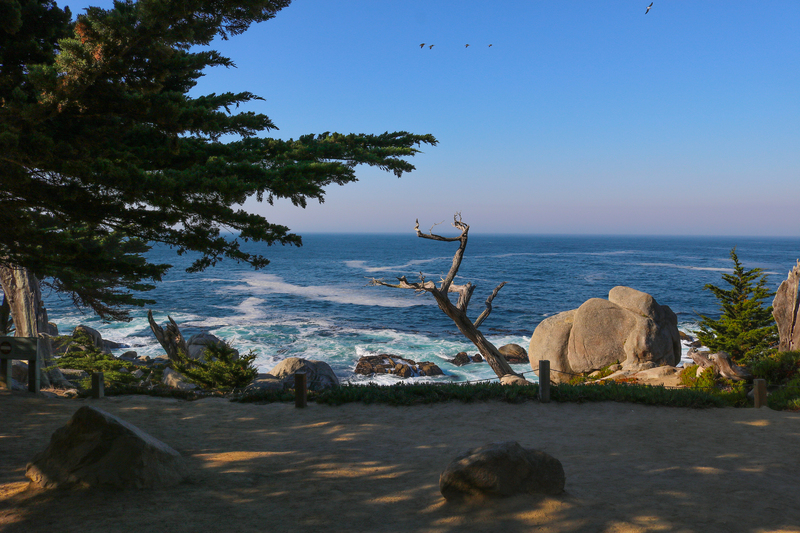 But you can admire these windows into Pebble Beach on your run. Take them in, and then use them as inspiration as you attack the steepest stretch of the course. As you charge into a dramatic tunnel of trees, you’ll sprint past the original Ghost Tree, which stands next to the Point of Interest sign on your right. 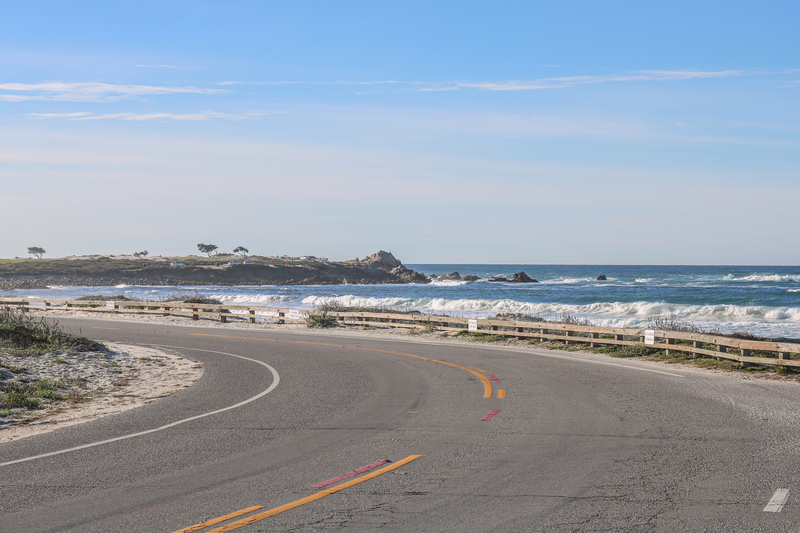 …because it’s an up-and-down ride as you run past Seal Rock and out to Bird Rock. The view from this direction might be even better than the first time you see Bird Rock. 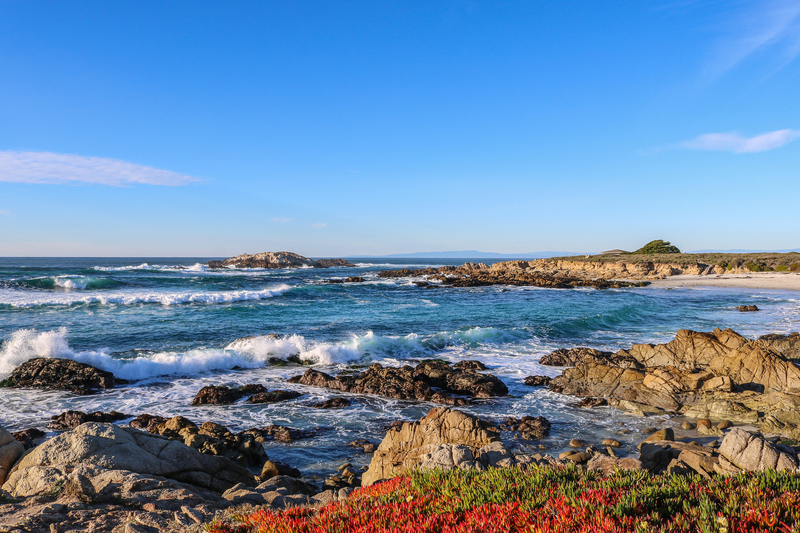 Spanish Bay actually gets its name from Spanish explorers who were searching for the Monterey Bay. They landed here, camped a while and then gave up. 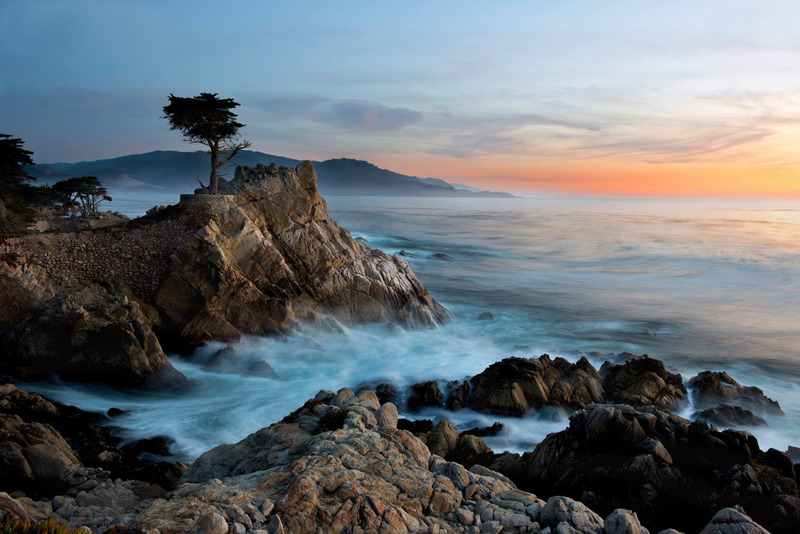 They returned a year later and finally found the Monterey Bay. But you’ve made it this far! Don’t give up! 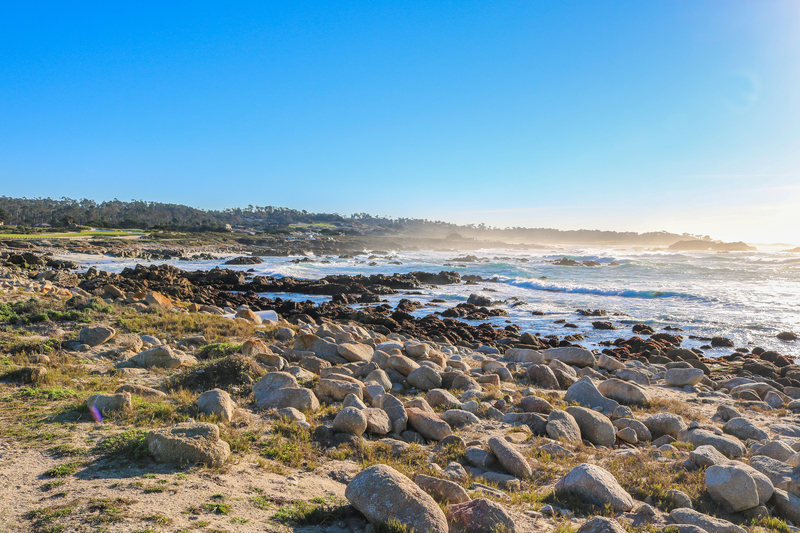 Want to give the Half Marathon at Pebble Beach a try? Space is limited to the first 1,000 entrants. The event will also include 5K and 10K races, and all runners can celebrate after the race with a champagne brunch. There’s just three months to go! Here’s how you can start training. Happy trails!